It’s been 34 years since Dave Alpeter (’82, MD ’86) hauled a stereo and suitcase up the stairs to his freshman suite in Poteat Residence Hall on a blistering hot August day. 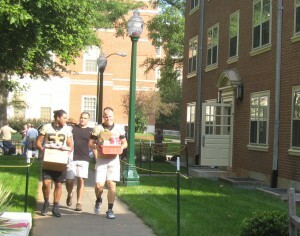 His daughter, Lindsey, had a considerably bigger load when she moved into her air-conditioned room on the third floor of Bostwick Hall – not to mention the assistance of members of the football and volleyball teams, who helped new students lug suitcases and large screen TVs and stuffed animals and golf clubs into South Campus residence halls today. 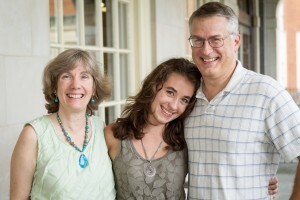 Alpeter and other alumni whose children followed mom or dad or both to Wake Forest say they tried not to be too pushy – it’s their children’s college experience, not theirs, after all – but acknowledged they were thrilled to move their children onto the campus that evoked such happy memories. David Alpeter (\’82, MD \’86) and his daughter Lindsey. He still keeps up with seven of his college friends who meet at least once a year for “Deacon fest” – reunions that have included trips to football games at Stanford and Florida State. They’ll get together twice this fall: for their 30th reunion in September and the Notre Dame football game in South Bend in November. 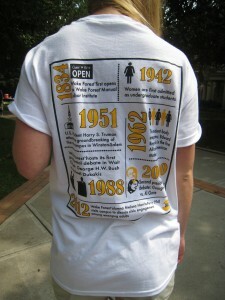 A student academic adviser displays some Wake Forest history on her shirt. Alumni with children in the Class of 2016 graduated when there were still large oak trees on what was then the Quad, years before it became Hearn Plaza. The snack pit, aka snake pit, was in Reynolda Hall, not the Benson University Center. South Campus was the women’s side of campus, where men signed in at the formal parlors to visit and visiting hours included frequent shouts: “Man on the hall!” Only men roomed on the Quad until women moved into Efird. There were no national sororities, computers or Deacon One cards. South Residence Hall and Greene Hall, and for the older alumni, Collins Hall and the Benson Center, didn’t exist. But enough has remained the same that alumni can still find their way to the Pit or the post office. John (’81, JD ’91) and Catherine Frier (’82) Korzen of Kernersville, N.C., said it feels like their lives have come “full circle” with daughter Kimberly coming to Wake Forest. 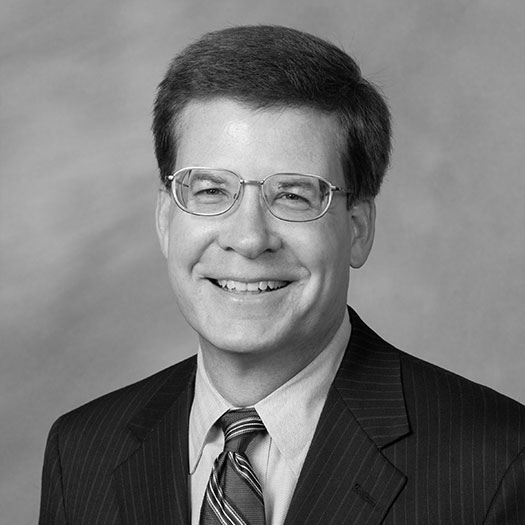 John Korzen has taught in Wake Forest’s law school since 2003, so their three daughters have grown up around the campus. 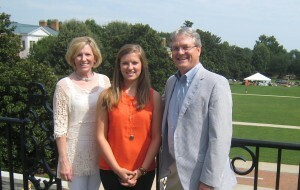 Catherine Frier Korzen (’82) and John Korzen (’81, JD ’91) with their daughter, Kimberly. After their oldest daughter chose another university, they supported middle daughter Kimberly when she, too, preferred to look elsewhere for college. But when Kimberly Korzen listed her top criteria for what she wanted in a school, Wake Forest rose to the top of her list. Greg (\’82) and Lennis Pearcy (\’81) Livesay with their daughter, Caroline. 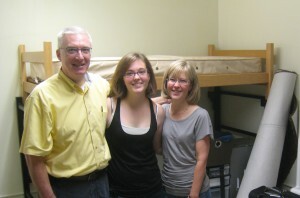 Greg (’82) and Lennis Pearcy (’81) Livesay of Greensboro, N.C., helped their daughter, Caroline, settle into a surprisingly spacious room in the basement of Johnson dorm, just a couple of months after celebrating son Grant’s graduation on Hearn Plaza. John Bryant (\’76, JD \’86) and his son, Sam. 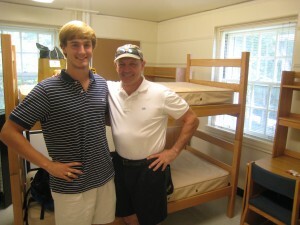 John Bryant (’76, JD ’86) of Raleigh, N.C., didn’t push his son, Samuel, to follow in his footsteps either, but he’s glad that he chose Wake Forest. John Bryant’s father and Sam’s grandfather — Walter R. Bryant (’42, JD ’48) — also graduated from Wake Forest. If having one child enroll at Wake Forest is good, having two is even better. Chuck (’83) and Kim Fox (’84) Millsaps, who live in Raleigh, N.C., are thrilled that daughter Sarah has joined her brother, John, a senior. Why did they both choose Wake Forest? Chuck (\’83) and Kim Fox Millsaps (\’84) and their daughter, Sarah. 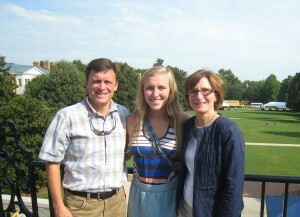 Roddey (’84) and Martha Player of Charlotte have two children enrolled now, too. As if her parents and older brother, Roddey Jr. (’13), hadn’t indoctrinated her enough in the “Wake Forest way,” freshman Kate Player attended Deacon Camp, a pre-orientation program to expose new students to Wake Forest traditions that includes a visit to the Old Campus. Roddey (\’84) and Martha Player with their daughter, Kate.